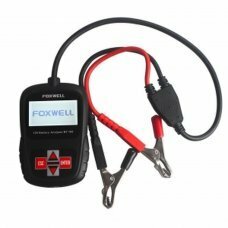 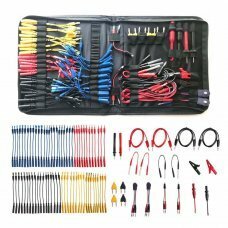 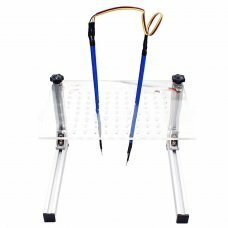 Multi Function Automotive Circuit Tester Lead Kit Contains 92 Pieces Of Essential Test Aids & Test Lead & Electrica..
2017 Latest ODIS Service V4.23CD included ODIS 4.23 UDS program. 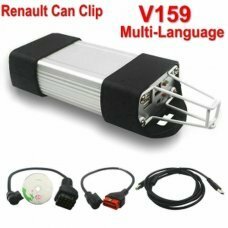 you don't need to download additional software.Thi is the ..
Best Quality Renault can clip latest V168, running stability, safety and long service life. 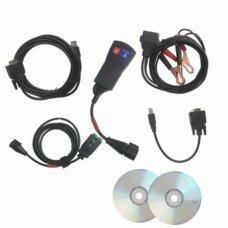 Software Version:V168 Sup..
2017 Latest ODIS Service V4.13CD included ODIS 4.13 program. 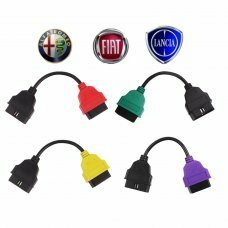 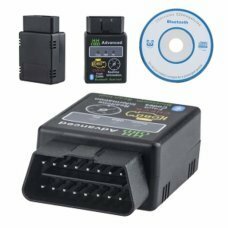 you don't need to download additional software.Top 8 reasons t..
Key Prog 4-in-1 Key Prog for Nissan Ford Renault equals to Ford key prog+ Renault key prog+ Nissan key prog+ Ford Incode Ca..
5M 16ft Flat Male to Female OBD 2 OBD-II Car Diagnostic Extension Cable 16 Pin Product Features: Brand new and high qualit..
A1, A2, A3 and A4 adapters for multiecuscanThe adapter is for Multiecuscan + Fiat ECU ScanProduct Details:Adapter cable for..
Adaptor Fiat/Alfa/Lancia 3Pin a 16 Pin OBDII.. 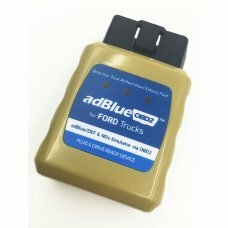 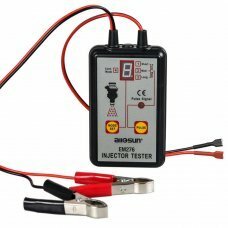 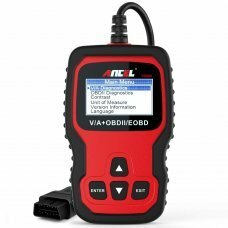 Description: - Its very easy to fit AdBlue Emulator in any truck or bus equipped with Ad-blue system and it will overr..
EM276 Injector Tester can diagnose injector problems, you can use it on each injector individually to test stuck, leaking o..
Works on most from 1996 and newer cars & light trucks that are OBD II compliant Volkswagen ,Audi Seat, skoda sold world..
Autek PowerScan YD208 Auto Electric Circuit Tester As PS100 Diagnostic Tool Description: - Performs every type of servi..
MINI GPS/SMS/GPRS Tracker TK103B Vehicle CAR Real Time Tracking Device System Features: This GPS Tracker was specially m.. 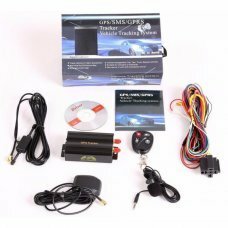 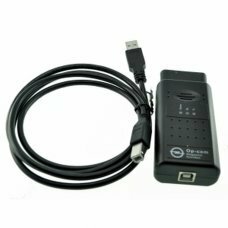 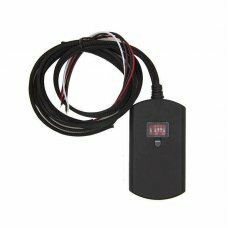 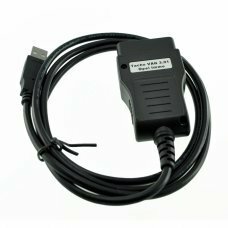 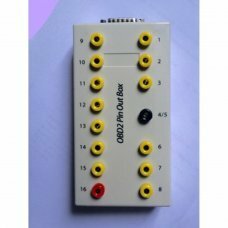 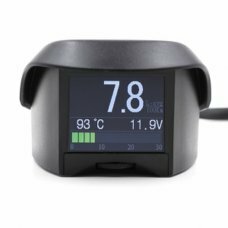 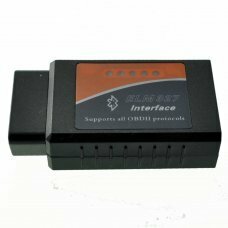 The GPS Tracker TK104 is a new product based on the GSM / GPRS network and GPS satellite positioning system, which set mult.. 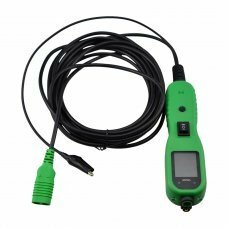 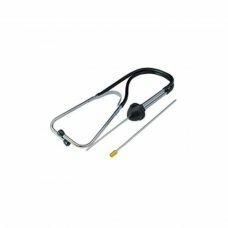 Automotive Mechanics Stethoscope Engine Diagnostic Tool Car VanDescription:Handy tool used to pinpoint worn bearings, engin.. 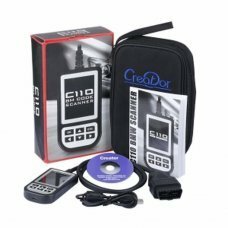 Description Type: Alarm Systems & Security for Coolant Temperature and other ECU real time information Bra..
Breakout Box Tester Pin Out Diagnostic Pinout OBD2 This tool is used to change the pin settings of other diagnostic tools/..
C110 OBD2 BMW Airbag ABS Engine Diagnostic Fault Code Scan Tool Reader for BMW C110 is professional full systems diagnosti..
Op com with this cable, you can see all the electrical and mechanical failures likely to have the car, and erase, program i..
Cable VAG CAN COMMANDER 5.5 + Pin reader 3.9 for Audi VW Seat Skoda odemeter modification and coding keys-Functions (throug..
AG Tacho USB + Opel Immo Pin Code Reader This cable is both for VAG and Opel, when it is connected to the VAG TACHO USB 2.2..
KWP 2000 Plus ECU REMAP Flasher Tuning Tool can read and analyze current ECU software, upgrade the ECU software with a re-m..
Super Mini ElM327 bluetooth is the newly developed wireless scan tool. 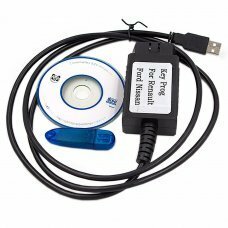 Software included for Palm, PDA Software included fo.. 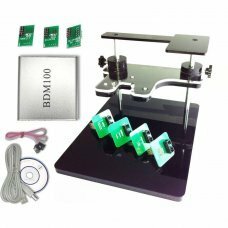 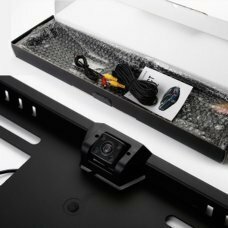 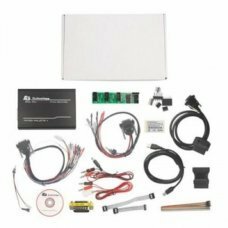 Supported functions Unlike other universal car scanner tools which only read fault codes, this software performs nearly ALL..
E315 4LED Night Vision Car License Plate Frame Car Rearview Camera WaterproofSpecification:- Model: E315- LED Quantity: 4- .. 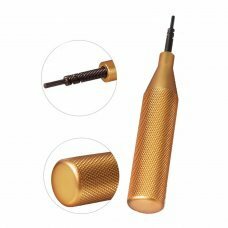 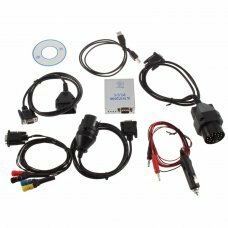 Useful tools for opening the ECU. 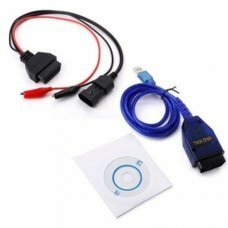 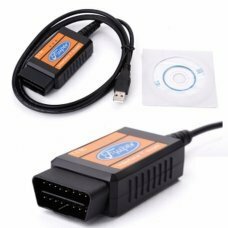 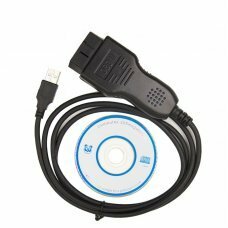 By screwing the tools instead of screws, the cover is lifted upwards in a uniform ..
ELM327 V2.1 HH OBD 2 OBDII Car Auto Bluetooth Diagnostic Tool Interface Scanner Features: 100% Brand New and High Quailty..
FGTech Galletto Master V54 FG Tech V54 BDM-TriCore OBD FGTech Galletto Master V54 FG Tech V54 BDM-TriCore OBD is a famou..
Fiat 3pin OBD2 KKL VAG 409.1 USB+Fiat ECU Scan Diagnosis Interface Alfa Fiat Features: Drivers for Windows XP, 98, ME, ..
Autophix VA007 ,Accurate,Reliable and easy to useAUTOPHIX VAG 007 is a super scanner for detecting the Volkswagen Series an..
Ford F SUPER diagnostic Interface Scanner SCAN TOOL USB Reader OBD Focus Mondeo Ford scanner fully works with Ford and it ..
AdblueOBD2 is a Plug & Drive Ready device to emulate working adBlue systems and NOx sensors on trucks, which equipped w..
FOXWELL BT100 Car 12V Battery Tester Analyzer Diagnostic Tool For All Cars Features: - Multiple vehicle applications &n..
Frame with LED BDM with mesh and 4 probes for FGTECH BDM100 KESS KTAG K-TAG ECU ECU Programming tool ECU Description of ..
GM 12 Pin to OBD1 OBD2 16Pin Connector..
BMW INPA / Ediabas K+DCAN USB Interface This Interface allows full diagnostic of BMW's build from 1998 – 2008 Wor..
INTERFACE BDM 100 - BDBDM100 Programmer BDM100 is a universal reader/programmer (it does not require our RACE software n..
KESS V2.23 OBD2 Manager Tuning Kit HW V4.036 No Token Limited Master Version Note: 1. 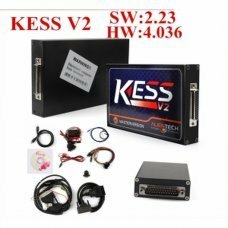 Software Version: V2.15 2. 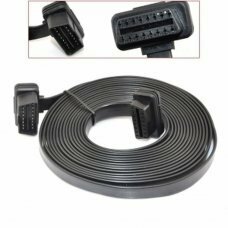 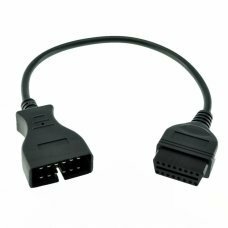 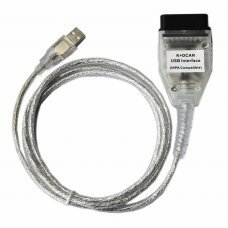 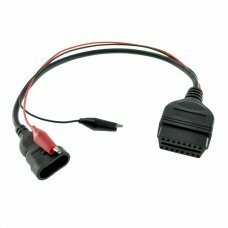 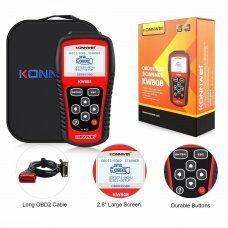 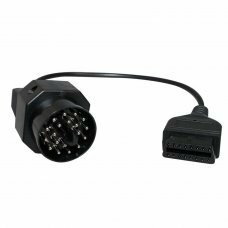 Hardware..
Konnwei KW808 (same like MS509) OBDII/EOBD Scanner supports all nine OBDII test modes on all OBD2 compliant vehicles to ena..